Style Inspiration: Casual Chic – Lovely.Multifaceted.Chic. I love mixing prints and textures . The best way to create a bold look like this is to pick the right accessories. I chose stud earrings because they are simple and have the same colors of m the shirt and pants. The bangles add a little flair. 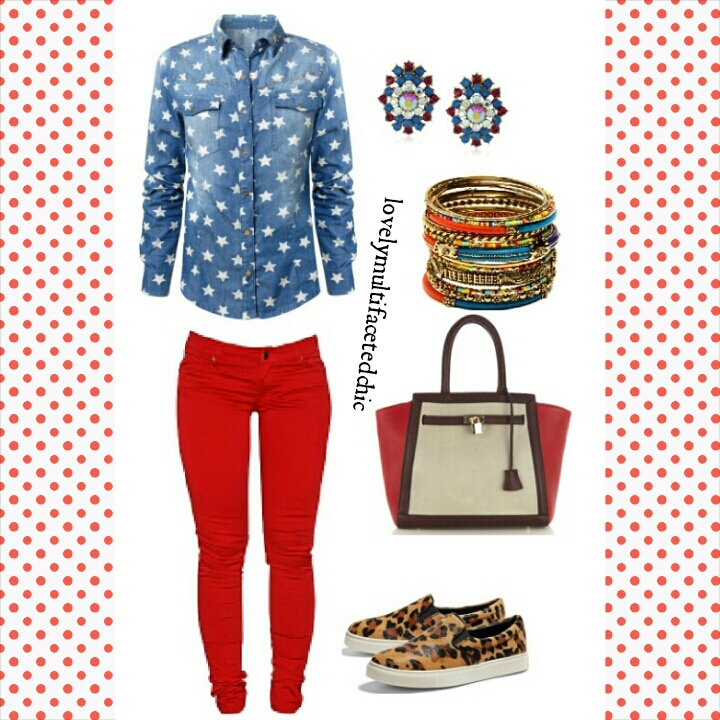 The handbag is simple but bold and the leopard print shoes adds a little flair as well. The beauty of this outfit is that you can change the accessories to change the look.